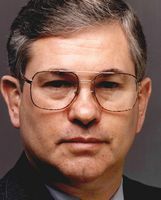 William F. Brown is the author of six mystery and international suspense novels. 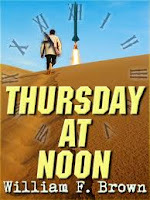 The e-book edition of Thursday at Noon, originally a Joan Kahn Book published in hardback by St. Martin’s Press and by Harlequin’s Gold Eagle in US paperback and in various foreign editions was released in June. It was reviewed favorably in the New Yorker and in many other major publications in the US. 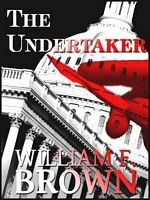 The Undertaker, his first e-book was released in January, 2011. It is a domestic thriller that has already garnered 22 Five-Star plus 19 Four-Star reviews on Amazon of the 43 published by various book review and blog sites. Amongst My Enemies, his second e-book release, was published in January, 2012. It is a fast-paced Cold War action story of international suspense that deals with espionage, revenge, and missing art and treasure in the post war years. It has already received 11 Five Star Amazon reviews of the 18 published. Winner Lose All, a new international suspense novel is with his agent, making the rounds of major publishing houses. It is set in the closing months of WWII, as one war winds down and all eyes are on the next one. Alliances begin to shift. Old enemies become tomorrow’s friends, and everyone wants their piece of the revolutionary new German weapons technologies. Beaufort Books published his first novel, The Allah Conspiracy in hardback. He is presently working on two new contemporary, domestic suspense novels, Through the Glass Darkly and One Good Shot. In addition to the novels, he has written four award-winning screenplays. They have won First Place in the suspense category of the Final Draft contest, Finalist in Fade In, First Place in the Screenwriter’s Utopia -Screenwriter’s Showcase Awards, Second Place in the American Screenwriter’s Association, Second Place at Breckenridge, and others. One was optioned. A native of Chicago, he has undergraduate and graduate degrees from The University of Illinois, and served as a Company Commander in the US Army. As a Vice President of the real estate subsidiary of a Fortune 500 corporation, he was able to travel widely in the US and abroad, visiting Russia, Germany, Italy, Spain, the Caribbean, England, Ireland, Scotland, Poland, Hungary, Czechoslovakia, Italy, Austria, Egypt, and Israel. When not writing, he plays golf and runs, and paints landscapes in oil or acrylics. You can follow his work on his web site Here which has Preview Chapters of each of his novels, interviews and book reviews. I would have to read The Undertaker first followed by Amongst My Enemies.